The Turkish government seeks to build a win-win relationship with the markets, Treasury and Finance Minister Berat Albayrak said Sunday. Speaking to journalists during his return flight from G20 finance ministers' meeting in Buenos Aires, Albayrak stressed: "We will not fight with the markets. We will move toward a win-win relationship." The minister also reassured that "a noticeable improvement concerning inflation" would be seen in the near future with a program that will not compromise budget discipline. "We are hoping for an effective central bank. The Central Bank sees the economic life as right. Turkey won't ever be as attractive to foreign investors (as it is now)," Albayrak said. 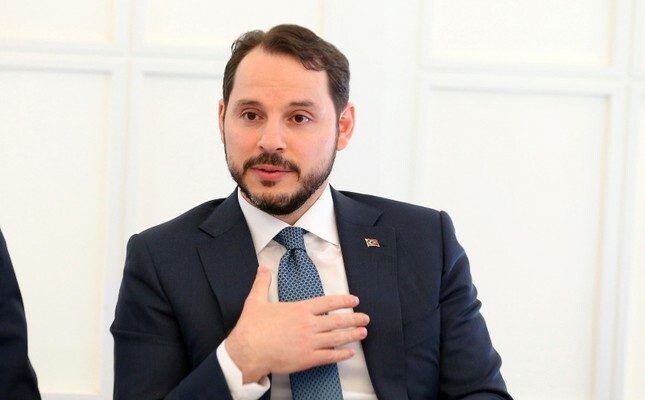 Albayrak was quoted by Anadolu Agency (AA) as saying the government's recent policies were aimed at maintaining prudent fiscal policies, seeing healthy credit growth, carrying out structural reforms and strengthening Turkey's monetary policy framework. "Turkey's economy continues its strong growth momentum. Our economic foundations are going to be strong and our outlook is promising," Albayrak said. Following his appointment, Albayrak said the central bank is independent and will do whatever economic realities and market conditions necessitate. The central bank's monetary policy committee, which has raised rates by 500 basis points since April in an effort to put a floor under the currency, will meet on July 24. On the sidelines of the G20 summit in Buenos Aires, Albayrak said on Twitter that he had met with his U.S., Chinese, German, Brazilian, South Korean, French and Indonesian counterparts.